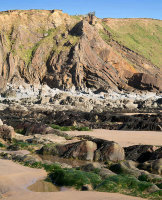 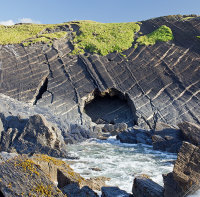 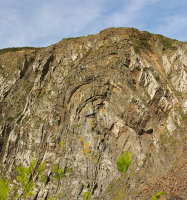 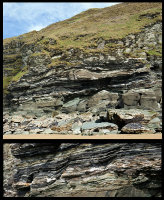 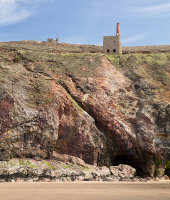 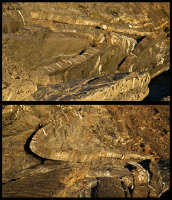 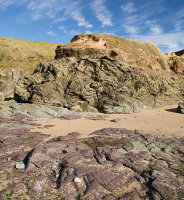 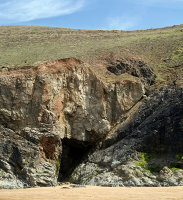 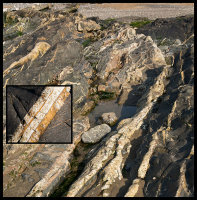 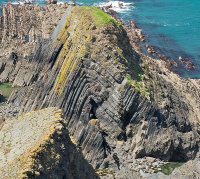 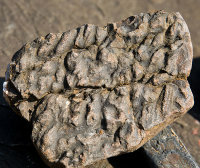 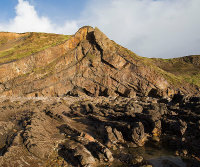 Devonian rocks 417 - 354 million years old (myo ), form the basis of most of Cornwalls Geology. 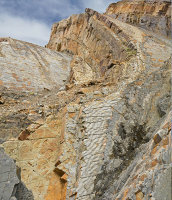 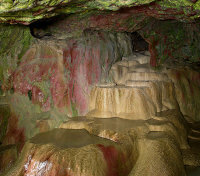 Subject to deformation during the Variscan Orogeny about 380 - 280 myo. 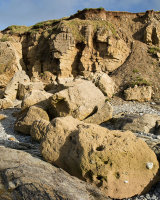 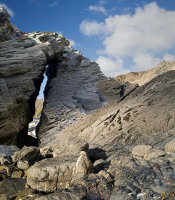 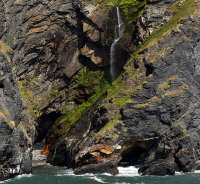 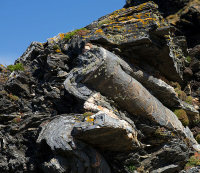 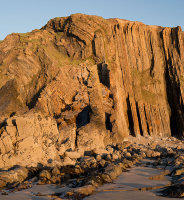 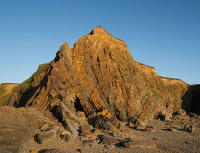 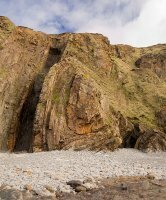 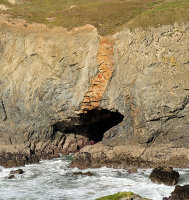 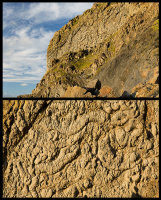 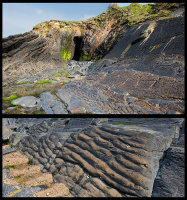 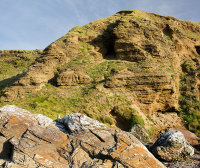 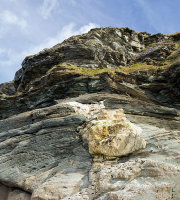 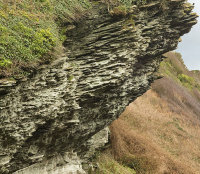 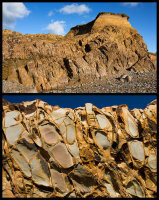 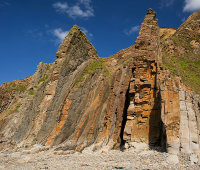 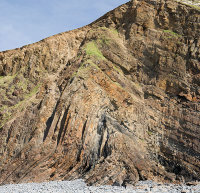 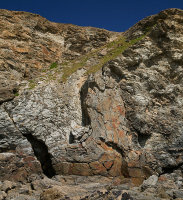 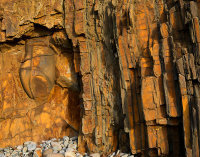 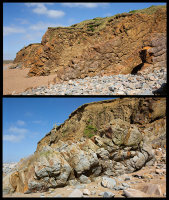 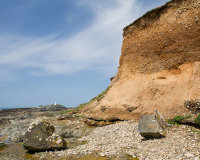 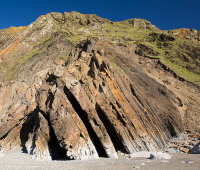 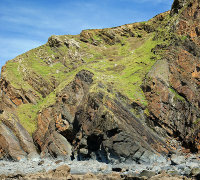 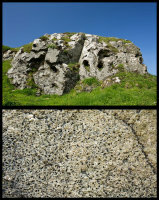 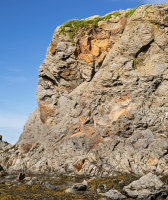 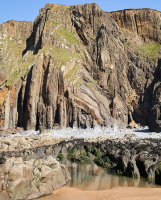 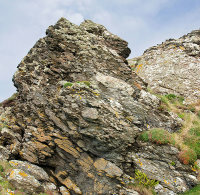 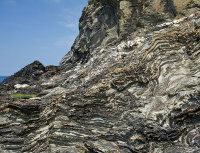 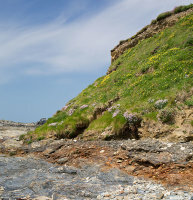 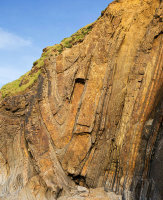 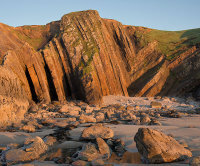 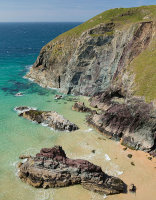 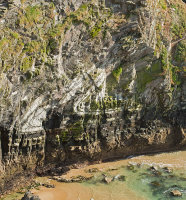 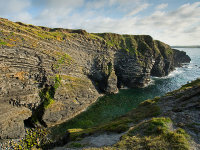 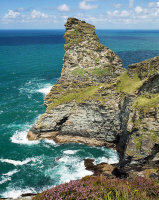 These are hard rocks, resistant to erosion, often resulting in dramatic sea cliffs . 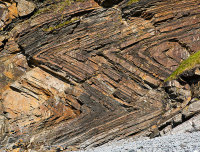 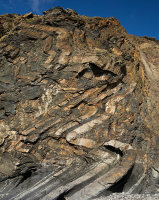 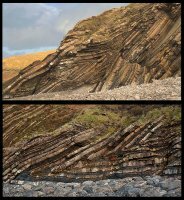 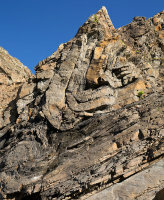 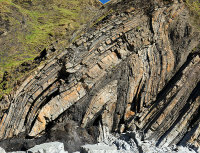 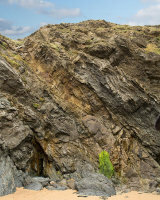 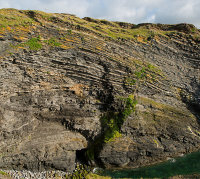 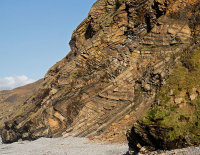 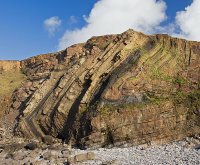 intensively folded and faulted by Tectonic Plate movements during the Variscan Orogeny.